Read the Patient Information Leaflet provided by your pharmacist before you start using budesonide and each time you get a refill. If you have any questions, consult your doctor or pharmacist. Take this medication by mouth with or without food as directed by your doctor, usually once daily in the morning. Take this medication by mouth with a full glass of water (8 ounces/240 milliliters) unless your doctor directs you otherwise. Swallow this medication whole. Do not crush or chew. Doing so can release all of the drug at once, increasing the risk of side effects. If you are using the extended-release tablets, do not split the tablets unless they have a score line and your doctor or pharmacist tells you to do so. Swallow the whole or split tablet without crushing or chewing. Avoid eating grapefruit or drinking grapefruit juice while being treated with this medication unless your doctor instructs you otherwise. Grapefruit may increase the amount of certain medications in your body. Consult your doctor or pharmacist for more details. What conditions does Budesonide EC treat? Tell your doctor right away if any of these rare but seriousunusual tiredness, vision problems, easy bruising/bleeding, puffy face, unusual hair growth, mental/mood changes (such as depression, mood swings, agitation), muscle weakness/pain, thinning skin, slow wound healing. List Budesonide EC side effects by likelihood and severity. Before using this medication, tell your doctor or pharmacist your medical history, especially of: eye disease (such as cataracts, glaucoma), high blood pressure, liver disease, thyroid problems, diabetes, stomach/intestinal problems (such as diverticulitis, ulcer), brittle bones (osteoporosis), current/past infections (such as tuberculosis, positive tuberculosis test, herpes, fungal), bleeding problems, mental/mood conditions (such as psychosis, anxiety, depression). What should I know regarding pregnancy, nursing and administering Budesonide EC to children or the elderly? Some products that may interact with this drug include: aldesleukin, mifepristone, drugs that can cause bleeding/bruising (including antiplatelet drugs such as clopidogrel, "blood thinners" such as dabigatran/warfarin, NSAIDs such as aspirin/celecoxib/ibuprofen). Does Budesonide EC interact with other medications? Should I avoid certain foods while taking Budesonide EC? 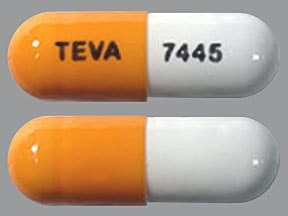 This medicine is a peach white, oblong, capsule imprinted with "TEVA" and "7445". 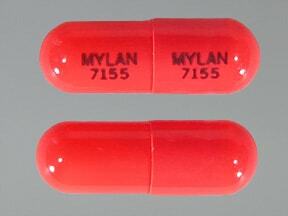 This medicine is a red, oblong, capsule imprinted with "MYLAN 7155" and "MYLAN 7155". 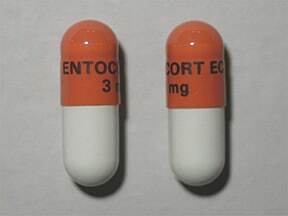 This medicine is a pink light gray, oblong, capsule imprinted with "ENTOCORT EC 3 mg". 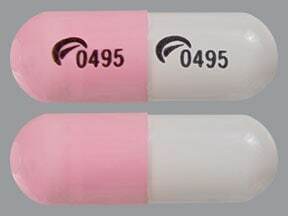 This medicine is a pink white, oblong, capsule imprinted with "logo and 0495" and "logo and 0495". 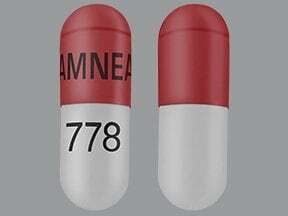 This medicine is a maroon light gray, oblong, capsule imprinted with "AMNEAL" and "778". 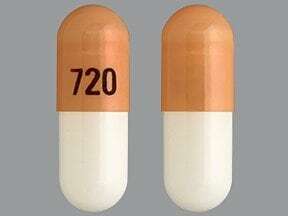 This medicine is a light orange white, oblong, enteric-coated, capsule imprinted with "720". Are you taking Budesonide EC? Are you considering switching to Budesonide EC? How long have you been taking Budesonide EC?